I’m thrilled about all of my vacations, but the moment we decided to take time off and fly to Hawaii I was giddy with excitement. In fact, the 7-hour flight has never felt shorter. We arrived to Maui, Hawaii five years ago for our honeymoon and it was love at first landing. We stayed at Sheraton Maui back then which was a perfect romantic spot for the occasion. I knew I wanted to come back the moment we left and five-year anniversary seemed like a good time to do it. The six distinct Hawaiian Islands, each offering a unique experience, have an inexplicable vibe that firmly grips onto your heart and pulls you back the moment you leave. With its stunning nature, pristine beaches and aloha spirit that penetrates the air, Hawaii most definitely makes me feel like I stepped into a movie, or a dreamy bubble. The views of sky-blue waters and smell of plumeria paired with tiki vibe and rhythmic sounds of ukulele create the idyllic atmosphere and instantly send me to the island nirvana. This time we settled in Honolulu which turned out to have a totally different vibe. 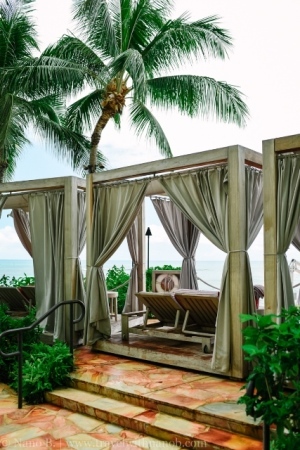 Waikiki, which is the primary destination on the island, lacks the tranquil resort feel of Maui, but it certainly has a charm of its own with buzzy atmosphere, vibrant nightlife and fantastic restaurants. 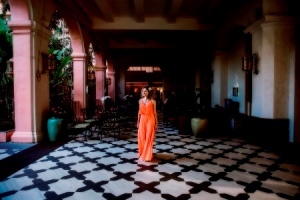 The goal of this trip was to have a healthy balance between exploring the island, engaging in dynamic activities, and relaxing at the resort, and I think we both ended up having a heavenly time. Here’s a recap of how we spent a blissful week on Oahu, with my recommendations on things to see and do on the island. Waikiki is the dynamic heart of Oahu and the most popular place to stay. There is no shortage of hotels and I checked out most of them on the main strip. I loved our hotel Sheraton Waikiki (especially the ocean-front view from our balcony) for its infinity pool located right at the edge of the ocean (truly the best pool among all of the hotels). It was, however, heaping with crowds. Moana Surfrider and Royal Hawaiian are the historical boutique hotels with a distinctly colonial feel which could have been amazing spots to stay, but they also felt too exposed to the external public and swarming (the grounds are open to random visitors). I liked the luxurious Halekulani because of its cozy atmosphere within the closed grounds, not to mention their fantastic restaurants. If you are not a city seeker, however, I recommend booking a hotel at Ko Olina on the west coast (Four Seasons and Marriott among others have resorts there) or Turtle Bay Resort up north. The views there are unmatched and you get a more relaxed setting devoid of massive crowds. If you haven’t explored past Honolulu, you haven’t really been to Oahu. The island offers stunning views and natural beauty once you leave the city boundaries. The best way to tour Oahu is of course at your own pace by a rental car. 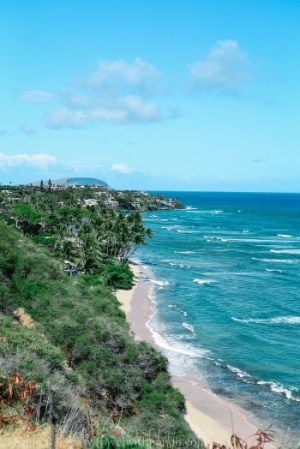 Head down to the South for various scenic lookouts like Kahala, Lanai, Halona Blow Hole, Sandy Beach, Makapu’u Beach and Blackpoint, as well as Waimanalo Bay and Hanauma Bay, dubbed as one of the best snorkeling spots in the world. You can also go hiking atop Diamond’s Head and Koko’s Head. Pali lookout is not to be missed as it offers not only the stunning views of Ko’olau Mountains and valley beyond, but also a dose of history as this is the site where King Kamehameha united Oahu under his rule during an epic battle. We also visited the Dole Plantation which in my opinion was super touristy, but can be fun for families with kids. Both north and east shores have some of the most stunning beaches (Lanikai, Kailua, Laniakea Beach, Waimea Bay, Banzai Pipeline) which must not be skipped if you have time to spare. If you don’t have a rental car, then I’d recommend joining one of the quality tours. Couple of the good ones I found were Oahu Photography Tours and Hawaii Food Tours. For many, and especially the history buffs, a visit to Oahu will not be complete without spending some time in Pearl Harbor Memorial. The naval base was the site of the Japanese air attack on December 7, 1941, that catapulted the United States into World War II. You can pay your respects at the USS Arizona Memorial and continue exploring the rest of the grounds which include the Visitor Center, USS Bowfin submarine, Battleship Missouri Memorial and a couple more museums. You can easily spend a full day here. To obtain the walk-in tickets arrive early, the premises are open at 8 am (the ticket sales start at 7 am.). Apart from its stunning nature, Hawaii boasts with rich history and culture which you can experience at one of the luau nights. Luau is a traditional Hawaiian feast which is accompanied by a performance. 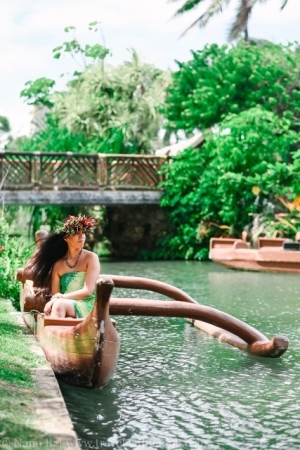 While doing my research, luau at Polynesian Culture Center consistently came up ranking as the best on the island so we booked a full day Circle Island Ambassador Luau package with them which included a tour of the island and ample time at the Center. The tour provided more of a windshield overview, with little to no time for proper stops (pretty disappointing if you want to enjoy the places and take photos), so I’d recommend skipping it. 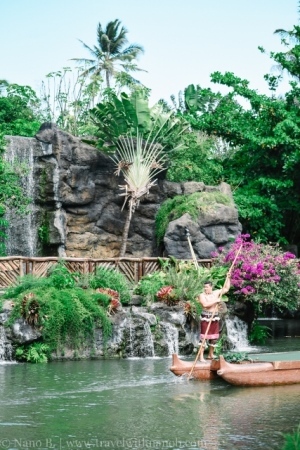 The Polynesian Cultural Center has gorgeous grounds and is like an open-air museum which is devided up into small villages depicting local culture of each Polynesian islands. During the day, you can take a guided tour, ride a canoe, attend the concerts, and take part in craft workshops. In the evening, you join a luau buffet dinner where you have an opportunity to taste the best of Hawaiian cuisine (Kalua pig, poke, poi, lomi salmon, opihi, haupia). During the feast, you’re also entertained by local music, dance and fire shows. Once it was over, we proceeded to the night show Ha: Breath of Life which was nothing short of spectacular and my favorite part of the entire experience. Ok, I know this might not be everyone’s cup of tea. But thankfully, if you’re like me and aren’t particularly keen to spend hours lounging by the pool, then there is an array of water activities that will fill your day with loads of fun. This includes snorkeling, diving, swimming with dolphins, parasailing, jet-sking, paddle-boarding, banana boats and so much more. However, I turned out to be a bit more of a thrill-seeker than I suspected. During our honeymoon, we tried surfing and I was totally hooked. Sadly, I never got a chance to live by a good surfing spot after that, but now that we were back on the island I wanted to give it a proper try and hired tutors for the days we were there. Waikiki is the best place to learn how to surf because the waves here are gentle rollers that offer a smooth, long wave ride. There are loads of surf schools (more like stands) along the beach, but as I found out not all of them are equally good. I had terrible experience with Dive Oahu and Surf (a complete tourist trap with incompetent instructors), but thankfully was able to find fantastic teachers the next day at Gone Surfing Hawaii (located past Halekulani). My instructor Trevor was incredible. During our private lesson, he spent ample time teaching me proper techniques on the ground before we even went into the water and that made a *huge* difference because I never missed a wave since then! It is such a thrilling and rewarding experience to be able to conquer the wave. I went back for more lessons with them and had a fantastic time. Instructor Josh was also amazing and fun to be around. Their entire team is amazing, friendly and provide excellent service to each customer. I cannot recommend them enough. They also have a cameraman who can take your photos while you surf if you want to keep some mementos of your unique experience. Speaking of water activities, I also finally got a chance to try Stand-up Paddleboard (SUP) Yoga with Yoga Floats and absolutely loved it (you can see me doing a handstand on the board on Instagram). I’ve been practicing vinyasa yoga for the past five years, but SUP Yoga provided a completely different experience. It was challenging yet invigorating way to start the day, as I floated on this beautiful water and tried to connect with my body and mind. Our teacher Tabetha was wonderful and she also took some photos of us for bragging rights. You know me and my love for beautiful imagery. I booked a last-minute photography session with April Jessee Photography to capture some quality memories of our time on the island. She was a fantastic person to work with: responsive, friendly and, most importantly, did an excellent job capturing the precious portraits exactly the way I wanted. Last but not least, those planning a trip to Hawaii, check out the blog Borders & Bucket Lists by wonderful Sarah, who who is the native Oahu blogger and shares tons of useful tips and information. Her recommendations were very helpful while planning my vacation. For my food recommendations in Honolulu, Hawaii follow this link. Have you been to Hawaii? Which island was your favorite and why? Also, do share some of your tips for Oahu in the comments. I’d like to know for my future visit!